Start living on your floor minutes after installing it! Thanks to Uniclic® joint technology, your floor simply clicks together. TORLYS floors are easy to install, easy to repair and easy to reuse! All you have to do to install your floor is: Calculate, Cut and Click! 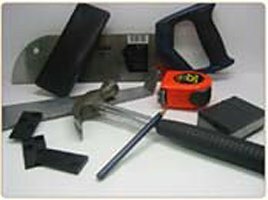 • The only tools you will need to install flooring: hammer, tape measure, saw (any type will cut the floor, from a table saw to a hand saw) and the TORLYS Installation Kit. • The use of Cork underlay or TORLYS foam underlay (3-in-1, Acoustik or Safe and Sound) is mandatory (optional with TORLYS Cork, Leather, Hardwood-Everest Designer, Everest Elite, Everest Premier, Summit Designer and Summit Elite floors which have a built-in cork backing). 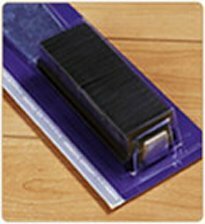 • Install flooring end pieces cut on an angle. • Replace planks in the center of a room, without cutting into floorboards. • Close open floor joint gaps. • Fix sub-floor hollow spots. • Easer access to underlay. 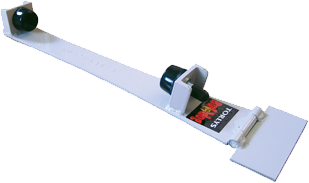 • Easily check perimeter expansion gaps of your floor. Thanks to the Uniclic® joint and TORLYS Smart Tape technologies TORLYS EverWood & EverTile can be installed more easily than other floating vinyl floors.